Uruguay is located in South America and is South America’s second smallest country. It borders Brazil to the north and east, Rio de la Plata to the south, and Argentina to the west. It has a population of around 3.4 million people. The capital city is Montevideo. Spanish is the official language with English being the second-most-popular language. The official currency of Uruguay is the peso. Uruguay has a temperate climate with warm summers and relatively mild winters. Annual rainfall is evenly distributed throughout the seasons. The warmest month is January, and the coolest is June. The Portuguese colonized Uruguay in 1680. Before that time, the nation had been inhabited by the Charrúa people for around 4,00 years. Montevideo was originally found as a Spanish military stronghold during the early 18th century. Uruguay gained independence in 1828 after a struggle with Brazil and Argentina. Today, Uruguay is a democratic republic. It’s president, Tabaré Vázquez is the head of state and head of government. Uruguay has a multicultural society that is rich in art, food, and sports. Uruguayans are known to be friendly and welcoming. When communicating, Uruguayans tend to be more direct than people from many other South American nations. Another interesting fact is that every house in Uruguay has its own unique name. Another of the country’s claims to fame is its national anthem, which is the longest in the world – lasting five minutes. The nation provides free, compulsory education which has resulted in a literacy rate of 98.1% for adults; this is one of the world’s highest. Uruguay’s constitution protects its people’s right to practice any religion. The majority of the population identify as Christian, with about 50 percent of these being Catholic. Uruguay likes to celebrate, and one of the nation’s biggest festivals is Carnival. The event is celebrated between the middle of January and the end of February. Carnival is a lively and colorful event involving vibrant parades of drummers and dancers. There are also comedic parodies of political issues and storytelling. Uruguay is known for its delicious cuisine, which has been influenced over the years by the varied range of immigrant settlers. Much of Uruguay’s food is grilled, fried or broiled. The gaucho style cuisine is predominant in most daily meals, which often contain some form of beef. The national dish is the chivito steak sandwich, which is either made from beef or baby goat meat. Uruguay’s national drink is yerba mate tea. Uruguay has something for everyone. It is home to historic colonial cities, untouched, natural beaches, and buzzing beach resorts. 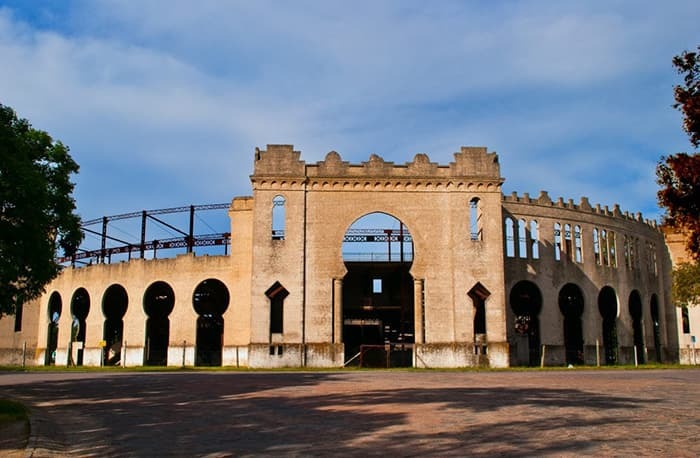 Here are just a few of the country’s most popular attractions. Colonia del Sacramento: This is a popular destination because it’s located close to Buenos Aires. Colonia is renowned for its Historic Quarter, an old Portuguese city that’s home to several churches and museums. Montevideo: Uruguay’s capital city has a relaxed atmosphere and is filled with classical European architecture and popular landmarks such as the Parque Rodó, Teatro Solis, and the Puerta de la Ciudadela. Punta del Este: This is South America’s most famous beach resort town. It is a popular venue because of its pristine beaches, plentiful shopping, and crafts. Over the past two decades, Uruguay has become a strong financial center. Some of the nation’s most notable characteristics include political stability, solid banking, a favorable tax system, and excellent communications. Uruguay is one of the founding members of Southern Common Market. Like many Western democracies, Uruguay has three independent political branches: judiciary, legislative, and executive. The nation’s legal system follows the tradition of Western European Civil Law. Governments are selected by election every five years. Uruguay has a strong infrastructure. Montevideo is served by multiple American, South American and European airlines and has good connections with Sao Paulo, Buenos Aires, and Santiago. The nation’s banking center has a good reputation throughout South America and is under the supervision of the Central Bank of Uruguay. Most private banks located there are subsidiaries of major international banks. In addition to the USA, Europe, Brazil, and Argentina are Uruguay’s main trading partners. The country’s primary products are cattle, maize, fish, sheep, rice, wheat, marble, topaz, and amethyst. 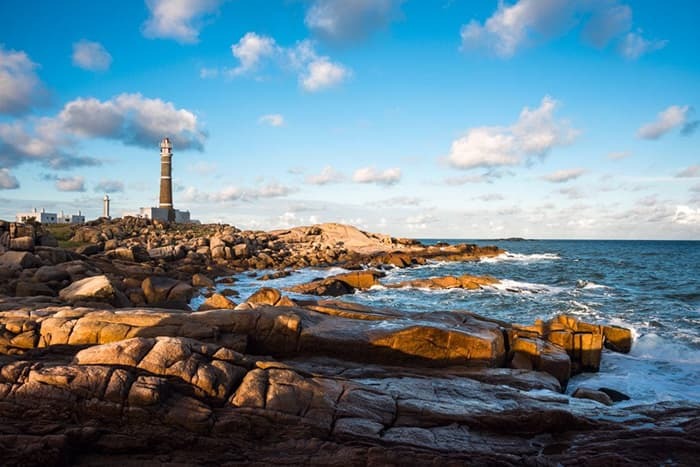 Uruguay’s main production industries include tanning and leather goods, wool, agriculture, oil refining, meat processing, fishing, cement, textiles, and tourism. On top of this country’s many incredible features, it is also considered to be one of the world’s most ethical countries. This is for several reasons including its use of renewable energy resources, which provide 95 percent of the country’s electricity. Overall, Uruguay has one of the most progressive societies, and it is considered to be a global “green leader” because of its dedication to environmental sustainability.